Two movies emerged big at the 1st CineFilipino Festival during its awarding last Sunday, September 22, at the Genting Club of Resorts World Manila in Pasay City. 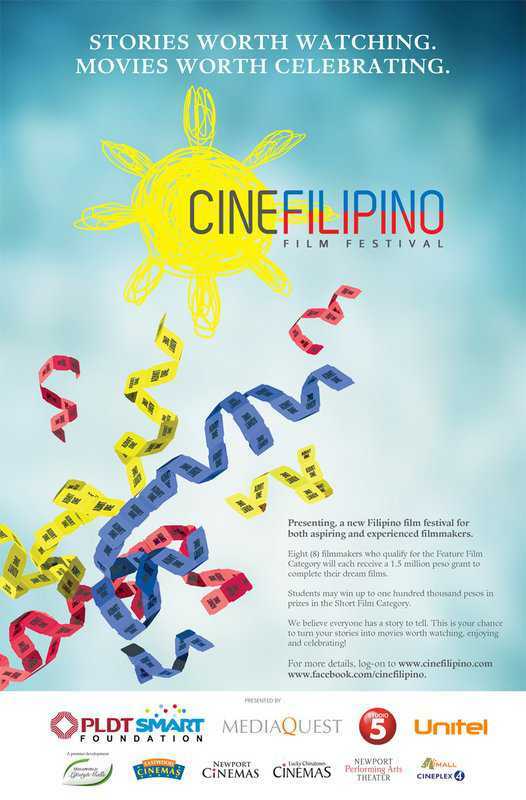 The two notable movies of the Cine Filipino Film Festival are “Ang Kwento ni Mabuti” and “Ang Huling Cha-Cha ni Anita”. The Best Actress Award goes to 13 year old, Teri Malvar for her role in Ang Huling Cha Cha ni Anita beating Nora Aunor in her role in Ang Kwento ni Mabuti. The festival spearheaded by PLDT-Smart Foundation, MediaQuest, Studio 5 and Unitel Entertainment opened its doors to interested filmmakers last August 2012 and attracted almost 150 entries from across the country. Due to the overwhelming response, the festival committee faced a grueling task of selecting the eight best entries. The chosen filmmakers received a seed grant of P1.5 million to support their project.